Prior to his Fall Eakin Lecture on Oct. 5, George Colpitts, an environmental historian from the University of Calgary, spoke with the Reporter about the historical importance of fur trade journals. 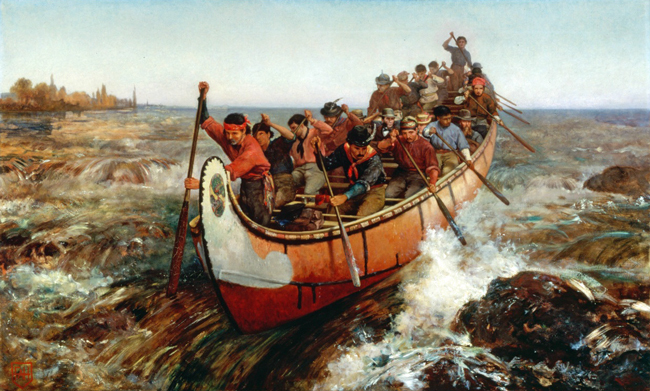 Shooting the Rapids (1879), Frances Anne Hopkins. New research continues to recast the fur trade era in Canada. The “trade” is appreciated now as a substantive and transformative economic, social and cultural process offering insights into cultural encounter, aspects of Indigenous history, and environmental history. Historians arrive at new understandings in part by closely re-reading the journals left by fur traders. Long used by historians writing business, imperial or classic exploration histories, these journals offer miscellanea remarks of traders, glimpses of the everyday life, and narratives of lifeways among people across social and ethnic divides. 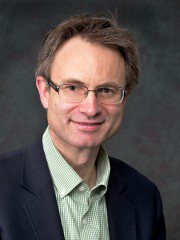 George Colpitts, an environmental historian from the University of Calgary, is the fall term Eakin Fellow at the McGill Institute for the Study of Canada. While at McGill, he is writing a history of fur in Canada for the University of Toronto’s Themes in Canadian History Series. 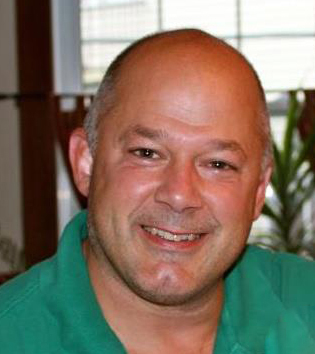 Through the lens of environmental history, he has researched business techniques and documents of the fur trade to offer new insights into the history of Indigenous people in Western Canada, animal life and exchange relations. His recent book, Pemmican Empire: Food, Trade and the Last Bison Hunts in the North American Plains, focusses on the pemmican trade and how after 1780 its critical support of the expanding Canadian fur trade had numerous environmental and social consequences. Colpitts will be discussing the potential of narratives from fur trade journals in the Fall Eakin lecture: The Awful Death of James Sutherland. Thursday, October 5, 4th floor, Colgate Seminar Room, McLennan Library (3459 McTavish Street). Admission is free. Why do fur trade journals, and the narratives they offer, lend themselves to historical analysis? Fur trade journals are sometimes viewed as simply diaries traders by traders on their journeys or within their posts. Although it resembles a diary in form, the journal was foremost a business document. Whether bourgeois representing merchants in Montreal, or salaried traders of the Hudson’s Bay Company (HBC), traders kept journals throughout the year to provide a written (qualitative) record that could make more meaningful a post’s accounting (quantitate) record. In the case of the HBC, the “journal of daily occurrence” provided vital information for the company’s committee back in London to fully judge its North American business. Many are now preserved in the HBC archives in Winnipeg at the Manitoba Provincial Archives. The Albany House journals on James Bay, for instance, run largely uninterrupted from 1705 to well after World War II. New generations of historians continue to re-read them for new insights. For example, James Bay journals have been used to reconstruct political networks of the Anishinabe and lowland Cree. Others serve to distinguish the various ways individuals and family became Métis in the fur trade, whether in fishing, agriculture or bison hunting. Journaled descriptions also suggest the ways that individuals over time could adopt different identities over the course of their lifetimes. Science has long been alert to the potential of these documents. They have been mined to reconstruct wildlife population cycles, boreal forest human ecology or even to study historical climate change. What was the purpose of the narrative in fur trade journals? Journals served a post’s accounting system. While a trader’s accounts helped assess a post’s productivity whether in goods or labour, his journals included observations of the behaviour, character, personalities, and reliability of people at the post or visiting it. This was a world of credit relations, where such information was vital. Certainly there were many aspects of a trader’s world that he did not record. They are often lost beyond the scope of the narratives he left in these documents. However, if these narrative fragments are reassembled by historians from multiple, brief mentions of individuals in many journals or drawn fully from the trader himself, they can be assessed on their own terms to see the ways that Europeans, Indigenous people and the environment itself related, according to the trader, to the larger commercial world of the eighteenth century. What’s the significance of the story of the “Awful Death of James Sutherland”? My lecture looks at how these narratives can be understood in light of their purpose in eighteenth century accounting traditions. In 1797, James Sutherland, the journal writer at Brandon House, in present-day Manitoba, took ill and died. His assistant, Thomas Miller, wrote the daily journal entries at the post in his stead. Miller carefully left detail of not only how his master died, but also the behavior of his post’s servants towards their dying master. Miller even recorded, verbatim, the spoken words of the men around him and those of Sutherland to his last breath. The story is significant in showing just how expansive accounting responsibilities could be in this period and how journals can yield significant insights into fur trader lives. We can count ourselves lucky to have them to study. How do journals and the stories they contain change? In the early 19th century broad changes were occurring in business and the accounting supporting it. The HBC reformed its own accounting a number of times, but most significantly, its London committee developed management accounting techniques by 1810 that changed the ways traders did their books. One important change related to journal-writing. The company instructed traders to write less miscellanea and instead report only “facts” related directly to a trade’s business. One can see a change occurring after that in the ways traders wrote their journals, especially after 1821. Over the long term, traders began maintaining different reports to capture more statistically their work. Their journals became narrowed in content; indeed, by the 1850s, many journal entries were reduced to brief daily summaries. Still valuable for researchers, they nevertheless offered a different form of observation than a fur trader’s journal had in the eighteenth century. The Awful Death of James Sutherland. Thursday, October 5, 4th floor, Colgate Seminar Room, McLennan Library (3459 McTavish Street). Admission is free. The lecture will be followed by a cocktail reception in the reading room, and will be accompanied by an exhibition to showcase the library’s extraordinary collection of fur-trade holdings.